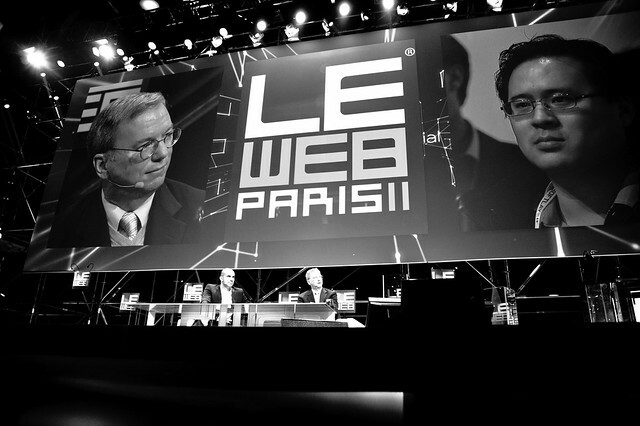 Eric Schmidt, the executive chairman of Google and former CEO, spoke at the Le Web conference yesterday in Paris. He spoke on a lot of topics, much covered at Techmeme. Here is a photo of one of the larger banners at the conference, showing Eric Schmidt on a live projection screen as one of the key speakers. The picture was taken by Le Web and shared on Flickr.